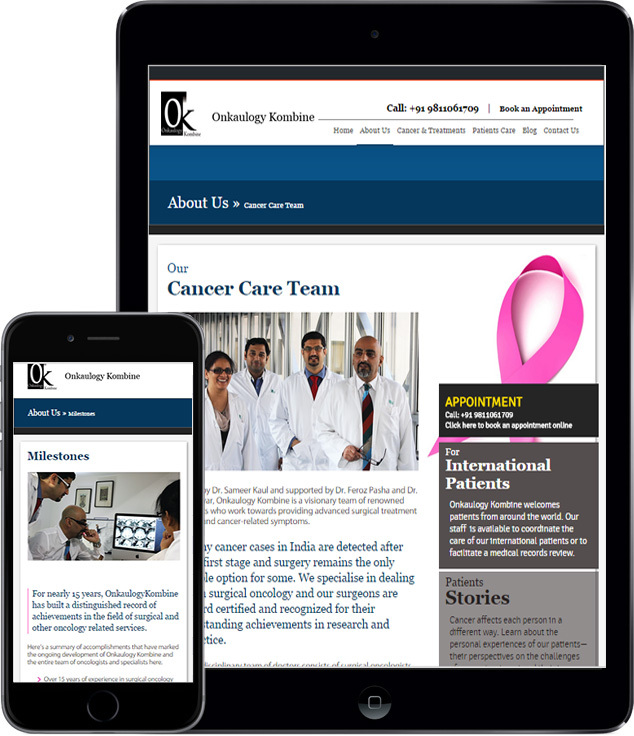 New Delhi based Surgical oncologist, Dr Sameer Kaul led Onkaulogy Kombine were given a professional web presence by the team at Grey Coconut Designs. 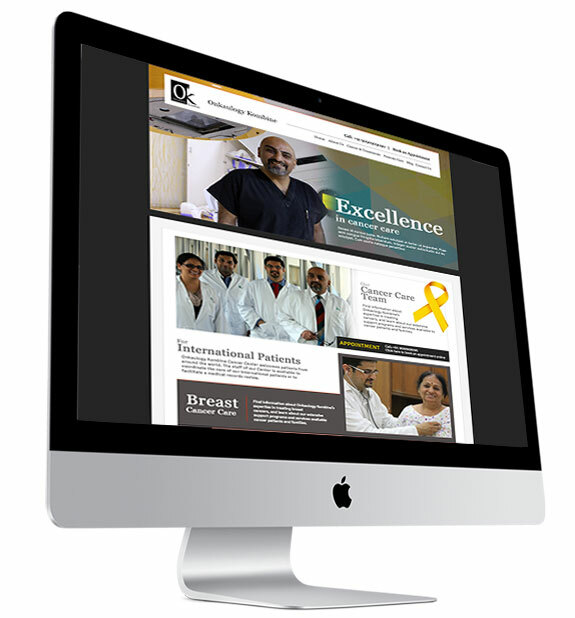 Strong visual website design and structure built around the website content, easy flow on information, clean navigation and use of visual images and graphics gave the cancer services website a very professional look and feel. The website was developed using wordpress and regular content updates were planned in form of patient stories, blog updates for new cases and happenings in the world of cancer. The responsive website design meant users could easily browse and send in their request for appointment using mobile phones or tablet devices. Services offered: Responsive website design, wordpress, content management system, blog, seo. Are you a doctor in need of a website? Grey Coconut Designs specialises in designing websites for doctors, hospitals, medical clinics, medical conferences, etc. Write to us with your requirement and our team will propose a comprehensive website solution for you.